Round 2 of the 2019 TIV Men’s Under 18 Competition saw four comprehensive victories and two thrilling contests that went right down to the wire. Hoppers Crossing 1 were seeking their first win of the season and thanks to an incredible scoring performance, claimed a staggering 165-point win over St Albans, 27.22. (184) to 3.1. (19). The Warriors raced out to a 30-point lead early and increased the margin at each break. The dominant display was spearheaded by the dynamic trio of Josh Ierardo (5 goals), Ezzat Haddara (5 goals) and Joshua Cohen (4 goals), who combined for 14 of the Warriors 27 majors. 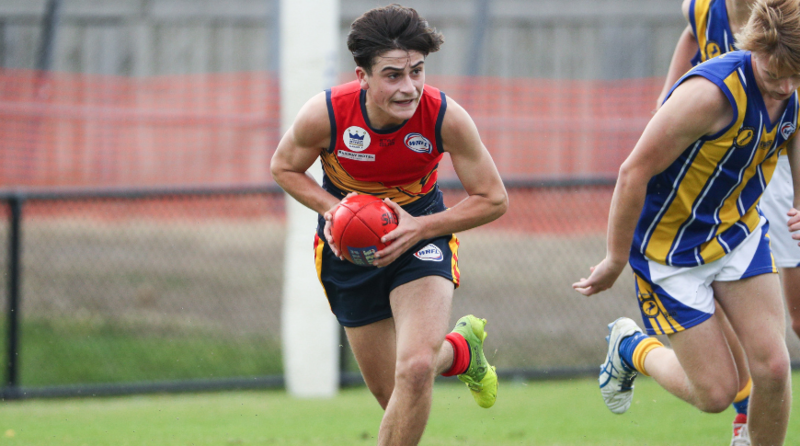 Jaxon Sardi and Riley Fisher were also influential, following up their impressive Round 1 performances against Altona last weekend. In the other games, Werribee Districts 1 became the first side to register their second win, claiming a 58-point drubbing against Altona, 13. 13. (91) to 4.9 (33). Led by Jordan Busuttil and Danny Grmusa, the Tigers claimed their first away victory of the season. The Eagles secured their first win of the year beating Flemington Juniors by 61-points at Yarraville Oval. The final score was 13.10 (88) to 4.3 (27). Marwan El-Houli and Max Le Grand performed strongly for Yarraville, who had the bye in Round 1. Werribee Centrals suffered their second successive defeat, going down by 3-points to Hoppers Crossing 2, 14.4. (88) to 14.7. (91). Led by Keegan Andrews, the Centrals made a spirited fourth quarter comeback, but ultimately fell short in the heartbreaking loss. For the victors, Jayden Mangion was exceptional, while Trent Meddings was also prominent. 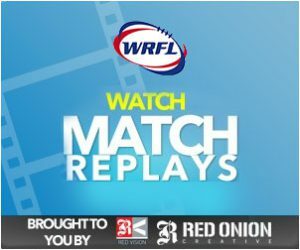 Caroline Springs got their season back on track, defeating Point Cook by 49-points at home. The Lakers set the tone early, registering a 27-point half time lead and never looked back thanks to impressive performances from Shareef Arara and Damon Cardona. In the final game of the round, Sunshine joined Werribee as the only remaining undefeated team, claiming a thrilling 2-point victory over Werribee Districts 2, winning 5.18 (48) to 6.10 (46). At the completion of round 2, Werribee Districts 1 and Sunshine are perched at the top of the ladder as the only two undefeated teams, while the Saints sit 13th with a percentage of 17.77 points, thanks to their heavy round 2 defeat.